With the sunshine lasting longer and many flowers blooming in the park, summer is just around the corner. Exciting summer events are on their way too—so many are planned for the Acadia Centennial community-based celebration that you’ll never make it to all of them. Read below for just a few that Friends of Acadia is planning. Meanwhile, drop-in stewardship volunteering has already begun—that could include you! Just show up at park headquarters on the Eagle Lake Road at 8:15 on Tuesday, Thursday, or Saturday mornings—all ages and abilities are welcome (you can also check the weekly project schedule in advance to see what’s planned). It’s a great way to feel more connected to Acadia, meet new friends, and give back to this magnificent place. 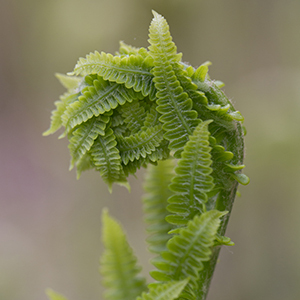 Wild Gardens of Acadia Plant Sale: Each spring since 1961, the volunteers of the Wild Gardens of Acadia have held a benefit plant sale to support the maintenance of the Gardens. This year’s sale will be held on Saturday, June 11, 2016 at St. Saviour’s Episcopal Church in Bar Harbor, from 9 a.m. to noon. Offerings will include native plants, vegetable seedlings, herbs, annuals, and perennials. Acadia Day at Fenway Park: As a part of the Acadia Centennial celebration, Friends of Acadia and the Boston Red Sox will host “Acadia Day at Fenway Park” on Father’s Day, Sunday, June 19, when the Red Sox face off against the Seattle Mariners at 1:35 p.m. Beforehand, Acadia Junior Rangers, Acadia Quest participants, and other young Acadia fans can take part in an “Acadia Pledge” in a pre-game ceremony on the field that celebrates young Acadia conservationists. Other highlights of the day include an Acadia-themed door prize at the beginning of the 3rd inning—with a prize including two round-trip tickets between Boston and Bar Harbor provided by Cape Air and hiking gear provided by L.L.Bean. Enter Fenway’s Gate A and look for the nearby FOA information table to register for the drawing. There will also be other drawings and activities at the FOA information table. Tickets for the game can be purchased directly from www.redsox.com. The Friends of Acadia seats are located in Right Field Box 91 and 92. We’d love for you to sit with us! Special thanks to our event sponsors Cape Air and L.L.Bean. 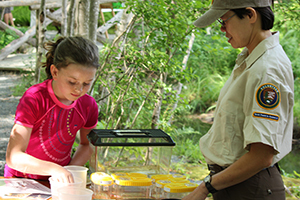 Park Science Day: Join Acadia National Park and Friends of Acadia on Saturday, June 25th from 1 to 5p.m. at Sieur de Monts for a day dedicated to celebrating Acadia’s contributions to science—past, present, and future. Scientists and naturalists will host more than a dozen interactive stations and a ribbon-cutting ceremony will debut the new Nature Center exhibits. There will be a shuttle to Sieur de Monts from the Jackson Lab parking lot. The Sieur de Monts lot will be open only to vehicles requiring handicapped-accessible parking. Did you know that Friends of Acadia is connected with new three books celebrating Acadia and its history? The books—Tom Blagden’s Acadia National Park: A Centennial Celebration, Ronald Epp’s Creating Acadia National Park: The Biography of George Bucknam Dorr, and Anne Kozak and Susan Leiter’s The Wild Gardens of Acadia—all benefit Friends of Acadia and will be available for purchase immediately following the annual meeting. The authors will also be on hand to sign purchased copies. Not able to attend the meeting? The books are also widely available at your favorite bookstore or online. Acadia Quest is back for the ninth year of family experiential fun! This year’s quest will focus on Acadia’s 100-year history with activities that celebrate its past and inspire its future. Have a smartphone? Download the Chimani Acadia App and receive badges in real time! The Chimani app uses GPS technology (you don’t need cell service) to track your location in the park and awards badges once your team has arrived at the quest completion site. Registration with Friends of Acadia and documentation of completion is required to be eligible for prizes. Visit our website for more information and to register. Header Photo: Bluets bloom at the Wild Gardens of Acadia photo by Julia Walker Thomas.